Homeschooling 3: Make a Difference! Our church sponsors church plants all over the world. 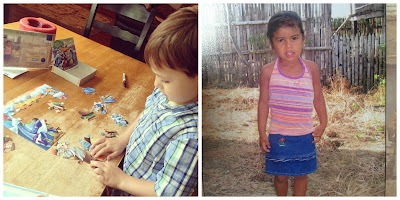 Two are in Ecuador and at least one of those is a partner with Compassion International. This past Sunday, Compassion International had a couple of tables set up as part of our church's mission outreach. 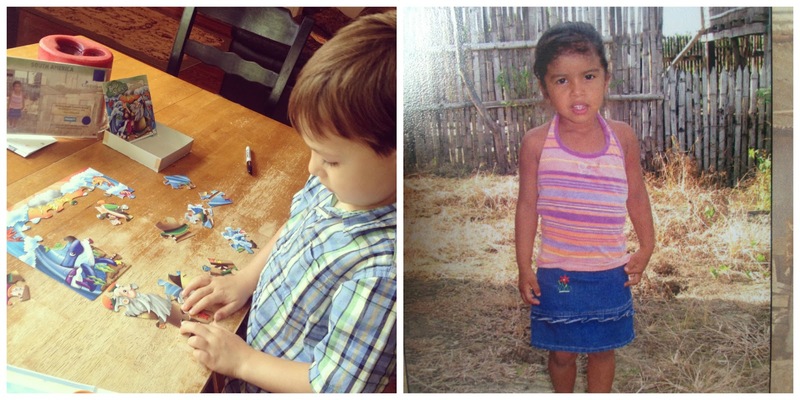 As a family, we already sponsor two sweet little ones. One in Ecuador through Compassion (Caraline's age) and the other in Tanzania (Ryan's age), our very first, through World Vision. On this particular Sunday, we felt it was our time to add another very special friend to our family ~ one Jonathan's age. Before approaching the table, Jonathan had already determined he wanted his special friend to be a little girl. There were two tables full of children's pictures, most with little blue dots which meant they urgently needed sponsoring because they'd been waiting for over six months. Jonathan immediately put his hand on this little girl's packet. The volunteer behind the table asked Jonathan his age and began finding other packets of children that were also five. He kept going back to this little sweetie who'd been waiting for over 336 days. So, here she is, little Naidely, who will be five the very beginning of October. Jonathan putting together a small puzzle to be mailed and a close-up of Naidely. Because her birthday is literally 60 days away, we had to rush to get a birthday package put together for her and mailed out by the next day, Monday. We picked up a few little things for Naidely, and for our other two friends, one who has a birthday in November. We spent the rest of the day and most of the following day writing letters, drawing pictures, coloring pictures (not all of those are pictured below), picking out and printing photos of our family for each little one and putting each one's package together with every item labeled. 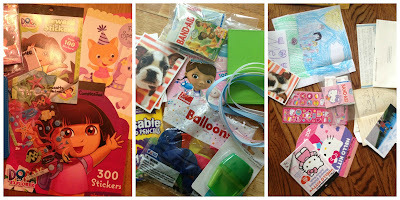 The coloring books have to be torn apart and the plastic wrapping removed from the stickers. For foreign customs reasons, only paper items are allowed to be mailed to Compassion International children. I called Compassion on Monday because we wanted to give Naidely a small monetary gift for her birthday too, and we didn't have an online account for her just yet. (100% of that gift is used to buy items she needs.) While on the phone, I found out more about Child Correspondents. Have you heard of this? A sponsor takes care of the financial responsibility of sponsorship, but isn't able to fulfill the personal relationship aspect of sponsorship, for whatever reason (maybe they are a corporation...). In this case, the sponsor can request a Child Correspondent for their sponsored child. The Child Correspondent takes on the wonderful, long-term responsibility of forging the one-on-one, special relationship with the sponsored child through letters (you can even send e-mails!) and sending little presents like the ones above for birthdays and special holidays such as Christmas. So that these precious ones can know they are valuable, special and greatly loved by you, your family and Jesus. After finding out more about this program, it was obvious that this was something we needed to participate in too! The volunteer asked if we had a country of preference. I told her we did not. She also asked if we preferred a boy or a girl. I consulted with the children, and we decided since we have three little girls we write to, adding a little boy would be awesome! We are anxiously awaiting our packet for him!! I shared the Child Correspondent information with my sister, a couple of our friends and our homeschool co-op. I know at least four friends, my sister's family included, are awaiting their Child Correspondent packets, too! So, if you aren't able to financially sponsor another child, maybe not even the first one, but your heart really wants to help make a difference in Jesus' name ~ here is your chance! Call Compassion International and ask about their Child Correspondent program!! ~ Be the hands and feet of Jesus!